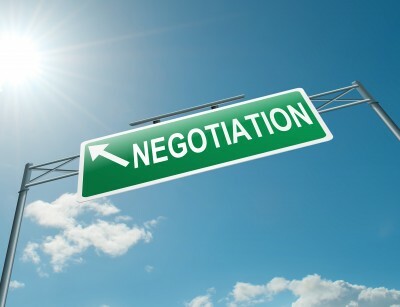 Is Urgency In Purchasing Negotiations Always Leaving You With The Short End Of The Stick? Do you seem to see a purchasing correlation in just about everything? I find this personal habit highly interesting, maybe even fascinating, but my wife wants me to cut it out immediately and focus more on how her day was. Since she’s not here, let me tell you that I’m a big NFL fan. I won’t tell you which team I follow or you might stop reading! Anyways, the free agency period opened recently, whereby players who are available can be had – for the right price. I’ve been watching it very closely. Even though every team has a budget that is mandated to them (the salary cap), it’s a financial feeding frenzy, and players get *really* overpaid for the rights for their services. Smart teams let the dust settle and pick up quality players that are still left for at or below market value. This is a classic issue of time pressures in negotiations. It’s a terrible way to negotiate, and it rarely works out. The players must love it though. As you probably guessed, there is a purchasing moral to the story above. One of the classic negotiation tactics used by suppliers, especially international suppliers, is time pressure. “Welcome to (insert foreign country name here) _______________, now let’s negotiate” is a frequently used tactic. Once you are negotiating on supplier’s turf, and especially in their country, you are at their mercy. I’ve had it happen to me. It’s not a good place to be. Suppliers also state that they might walk from the deal or that others are vying for their business. Sometime suppliers will get really bold and give their own deadlines for negotiations. Sometimes the competition and timelines are real, but most times it is perceived, or at least they want you to perceive it that way. However, don’t forget that suppliers are up against their own deadlines too. The biggest one is that they want to report maximum earnings by the end of every quarter and especially before the last quarter of the year. If you are negotiating with a large company, you need to know if that division is a separate profit & loss (P & L) or not. Don’t assume because the company is big and rich that the division you are working with is not under tremendous heat and pressure. The other big deadline suppliers are up against is the fact that most sales professionals are commissioned, and they have due dates on their sales targets, and they have bonus payments they want to try and achieve as well. Just ask them “is there a particular date you’d like a PO by if we are able to come to an agreement?”. It’s an innocent enough question, and they’ll never think that you have a strategy for asking. With their answer, you will know the exact deadline they are up against for either category (commission or fiscal reporting), and they will tell you whichever is more time sensitive, so you don’t need to even know or care which one it is. I’ve had some tremendous success using this technique. It shifts the power of time back in your court, where it’s supposed to be. Are your decisions negatively dictated by timelines? From my perspective, it’s better to miss your internal timelines and get a good TCO deal than to sign up to a bad deal 100% on schedule. I can honestly say that the biggest mistakes I’ve made in life, and one of them was really costly (statistically, 50% of you can relate), were due to rushing things. In football negotiations, as in life, and in purchasing negotiations of course, rushing things and succumbing to time pressures is never a good thing, and will almost always leave you with the short end of the stick.